The forms included here are not required by any licensing agency. They are forms to be used for general information for your use or general information for you to provide to the parents in your daycare. After they've signed their name on the dotted line, send them an official thank you and welcome to my daycare! 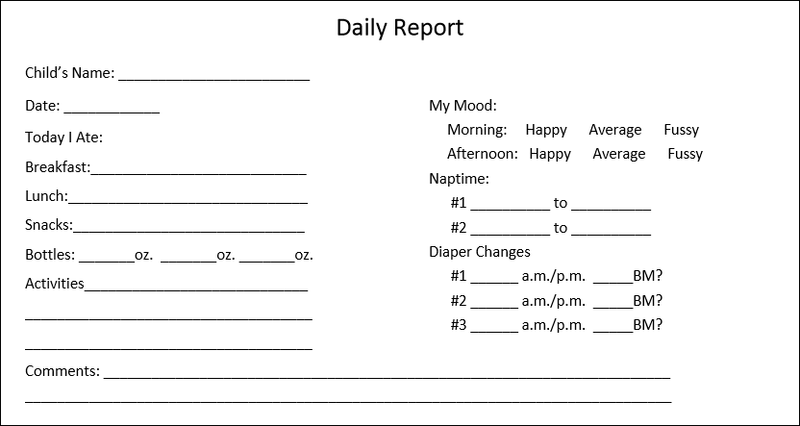 Daily Reports can be used for any age child, but are especially geared to infants. Easily report to mom and dad how their day was, when they last ate, how long naps were and how many dirty diapers they had.